The 44-year-old rapper - who has 12 children from several relationships - was originally detained in New York City in late June for "several issues outstanding" and was placed in the Erie County Holding Centre in Buffalo yesterday (14.07.15) after being sentenced to six months behind bars. A spokesperson for the County Sheriff's Office told local TV station WPIX-11 that previous charges over a gas station robbery were dropped, while a warrant was issued by the city of White Plains for bail jumping and a robbery complaint out of Newark, New Jersey was being investigated. 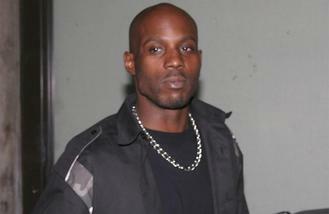 However, lawyers for DMX - whose real name is Earl Simmons - previously told police that the robbery charge was "totally absurd". The rapper - who found success in 1998 with two platinum-selling albums with 'It's Dark and Hell Is Hot' and' Flesh Of My Flesh, Blood Of My Blood' and released 'Redemption Of The Beast' this year - has been blighted by drug addiction and more than a dozen arrests over the course of his career. Witnesses described how moments before the rapper was due to perform a the Masters of Ceremony concert, police were seen waiting outside of Radio City Music Hall. A source said: "As soon as he stepped out of his vehicle, they grabbed him and drove off with him."